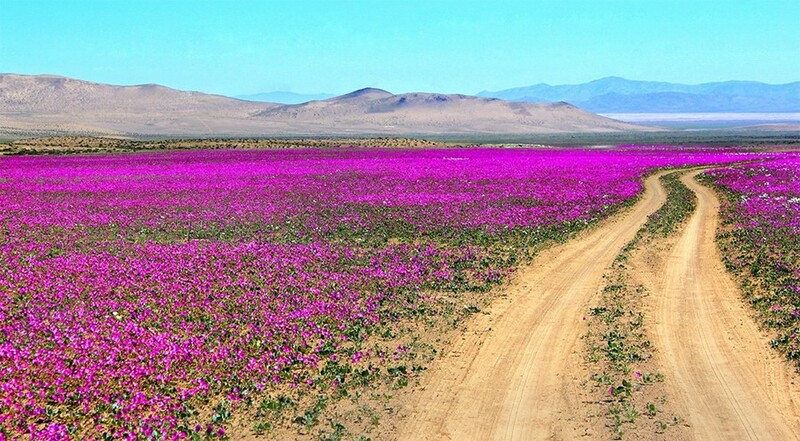 Two years ago in this very column, we wrote about a rare natural phenomenon that turns one of the driest places on the planet into a vast inland sea of pinks, purples and blues: the Atacama Desert ‘superbloom’. 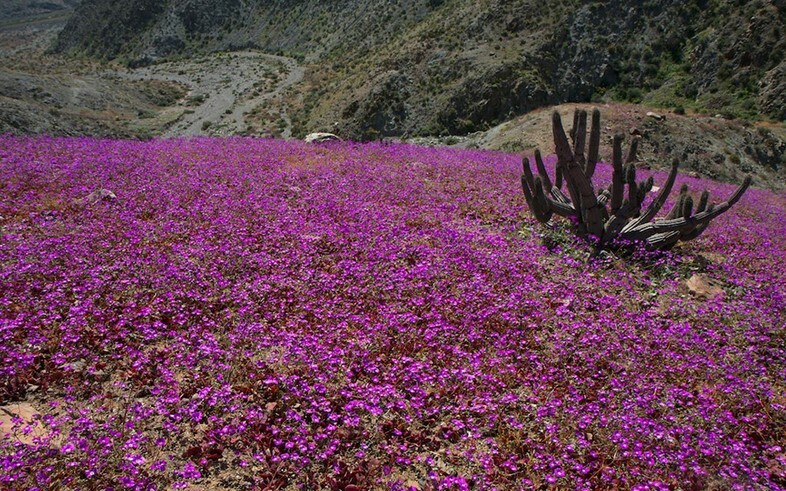 All across the desert’s southern edge, pink Malva flowers, red Garra de léon, purplish Pata de guanaco, red Añañuca blooms and around 200 other species have turned the usually brown landscape a into kaleidoscope of colour. Located in a rain shadow where very little precipitation falls, Chile’s Atacama region is normally one of the driest places on Earth. Some weather stations in the highlands have never recorded rain, and flowers bloom only rarely here – usually only every five to seven years, when dormant seeds awaken. To see another superbloom event this soon, then, is unusual; another indication that the world’s climate is changing in all kinds of unpredictable ways. 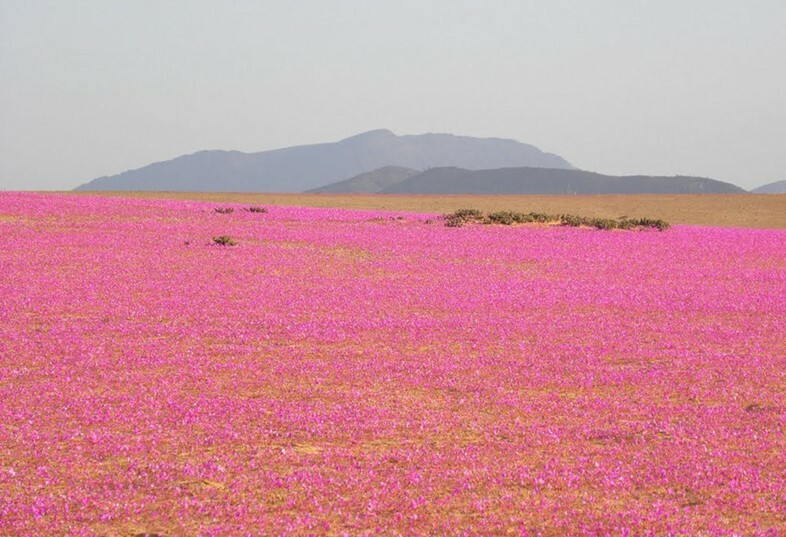 Usually coinciding with the cyclical El Niño weather pattern, millions of flowers do periodically bloom in the desolate desert. Buried beneath the surface, their bulbs await the arrival of the ephemeral moisture before bursting forth above ground. If you’re already in Chile, hotspots in the Atacama for viewing the superbloom include Huasco, Vallenar, La Serena, Copiapó and Caldera. If you’re not, you’ll probably miss it.